When I heard that Tomb Raider was getting the reboot treatment I was less than excited, it just wasn't needed. Then the first stills from production came out and Alicia Vikander was revealed as this generations Lara Croft and I.................laughed. I've seen some bad casting but Vikander as Lara, really? 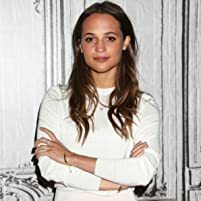 Now don't get me wrong I like Alicia Vikander, she's a fantastic little actress and has demonstrated how good she is throughout her career (And seems incapable of ageing) but she isn't Lara Croft. Lara is the tall amazonian quintessential English woman and dinky Swedish Vikander was a bad choice for that. She takes the role and makes it her own but fights an impossible uphill battle like casting a wheelchair bound actor as Linford Christie it just wasn't going to happen. 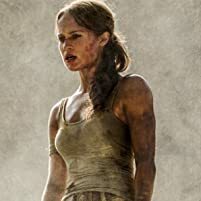 Her performance is excellent as is Dominic West who plays her father Lord Richard Croft and the movie clearly has influences from the modern Tomb Raider (Rebooted) games so stays true to much of it's origins. It also plays out like a modern Indiana Jones movie and actually does it quite well. So what's the problem? Poor casting can flatline a movie, Vikanders strong performance can only go so far. She simply isn't Lara Croft and I couldn't get past that, the origin story had been changed (Which I hate) and the whole thing felt like someone hadn't thought it through thoroughly enough. 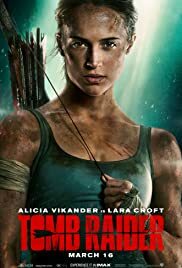 If you're not a fan of the Tomb Raider franchise and like a good old fashioned adventure movie then you may well find yourself blown away by this. If however you are a fan and have expectations you'll likely walk away like me highly frustrated.